To fulfill the demand of our customers we provide Aluminum Bottles to our customers according to their needs. 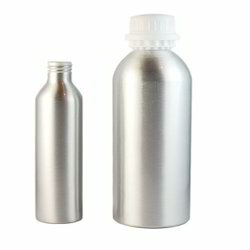 We provide a high range of Aluminum Bottles to our customers. Our emphasis on maintaining superior quality and international standards has given our products an edge in the market, meeting the fast changing demands and expectation of the customers.